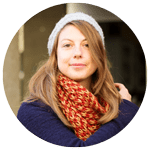 For this new edition of the foodista challenge, Valérie ( I love cakes ) gives us the opportunity to dream a bit longer with the joy and magic of Christmas. If you want to see the participants list and learn more about the challenge, please check the French version of this post. I hope you had a great Christmas and that you eaten well surrounded by all your family and friends. That’s in Switzerland where I first saw these little cinnamon stars. 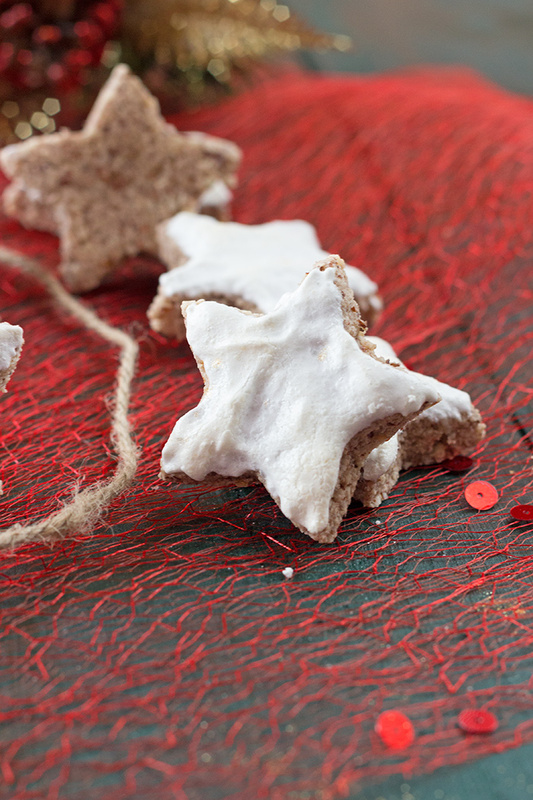 During the Christmas period, the shelves are full of chocolates and cinnamon stars on the supermarkets. For me that’s the beginning of Christmas preparations. You receive some at the office for Saint Nicholas alors you eat some at a friend place with some tea. But this year, I said, I will make them myself. 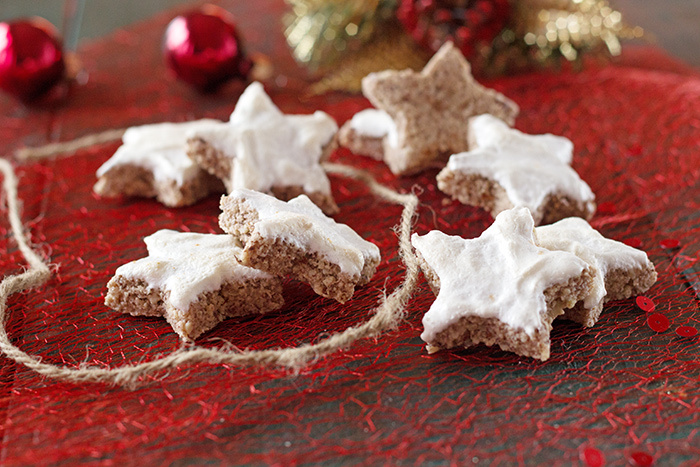 A huge advantage of these little Christmas cookies … There are without flour so gluten free ! Beat egg whites with lemon juice. Pour sugar little by little while whisking and end using the maximum capacity of your mixer. Reserve 100 gr. for the icing. Add nuts powder, almond powder, cinnamon and kirsch. Mix until you get an homogeneous paste. Roll out in between two sheets of greaseproof paper (thickness 1cm). 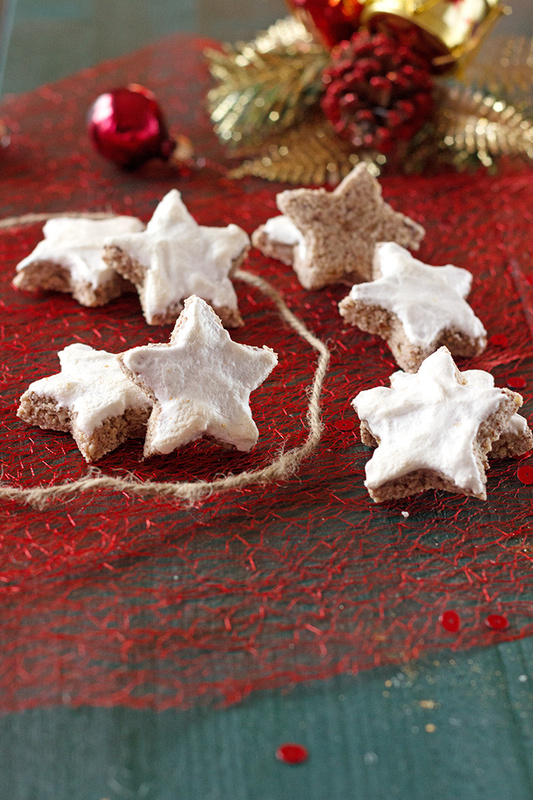 Make your stars using a cookie cutter. Form a ball with the left over and repeat the operation until there is no more. Cover your cookies with the icing. Leave to rest at room temperature for 12 hours. Preheat oven to 160°C. Bake for 8 minutes. The cookies must stay white. You can store in a metalic box.